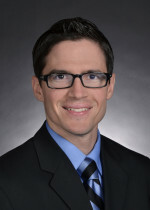 Dallas-based CF Accountants & Consultants has announced that Matt Dover has been named PIC of tax services. Dover succeeds partner Kevin J. Harris, who has twice served in this role for the firm, including more than 10 years during his initial tenure and then again since late 2014. Harris has refocused his efforts on client service; he also functions as the firm’s CFO.